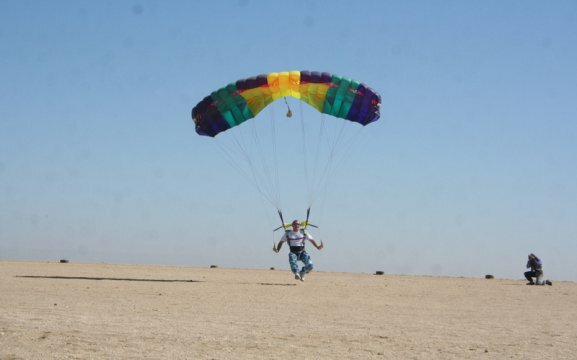 Ground Rush Adventures is one of Africa’s premier drop zones. Situated in Swakopmund, on the Namibian coastline, it is one of the most breath-taking places to spoil yourselves to the highlight in your life. 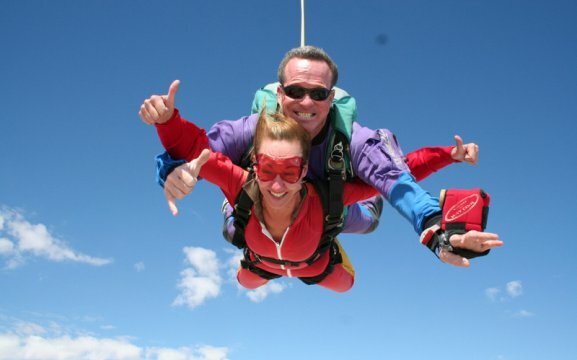 Since 1997, Ground Rush Adventures is offering this thrilling adventure activity, TANDEM SKYDIVING. 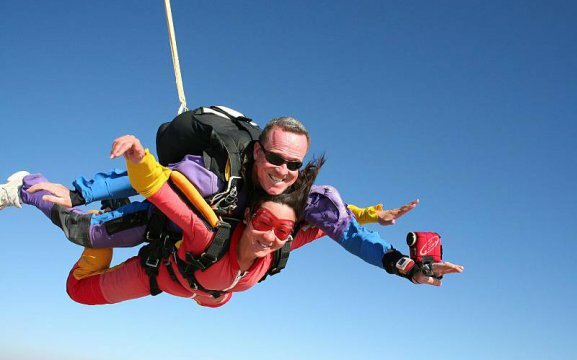 We also offer Tandem Skydiving courses in Accelerated Freefall and Static Line jumps. 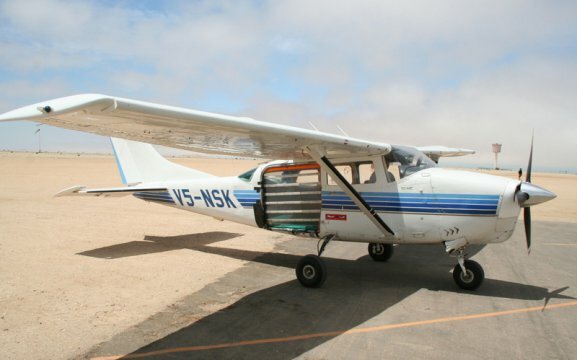 We are operated under the control of the Parachute Association of Namibia (PANAM), which is the governing body for all the skydiving in Namibia. 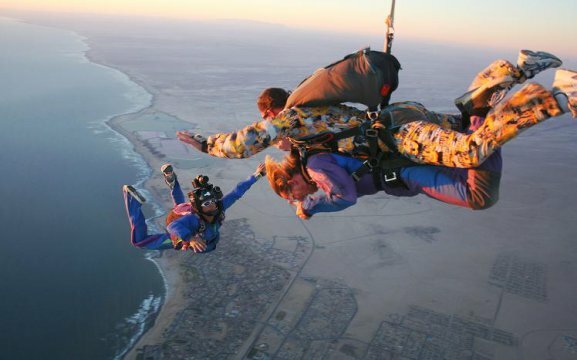 When skydiving over the Namib Desert, and on the shores of the Atlantic Ocean, it is clear why this experience is an absolute must while visiting Swakopmund. 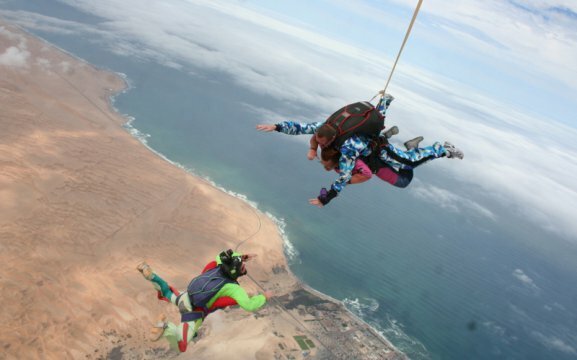 Nothing compares to the thrill, excitement and manificent view as you soar overhead Swakopmund. Ground Rush Adventures is open seven days a week, and skydiving can be booked every day (weather permitting). Our highly qualified staff and tandem instructors, with over 67 000 tandems, will make your skydive a glorious memory. 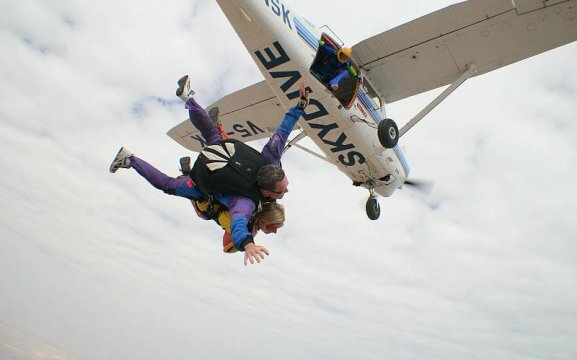 Transfers from anywhere in Swakopmund, Jumpsuit, harness, goggles and of course a Tandem Skydive! Please ensure that you wear closed shoes so that they don’t fall off whilst skydiving. Long pants or shorts and a t-shirt are fine. If you plan on jumping in the afternoon bring a jacket as it can get cold. There is no age limit however if you are under 18 you need written consent from your parents and a child must be big enough to be strapped comfortably and securely into the harness. 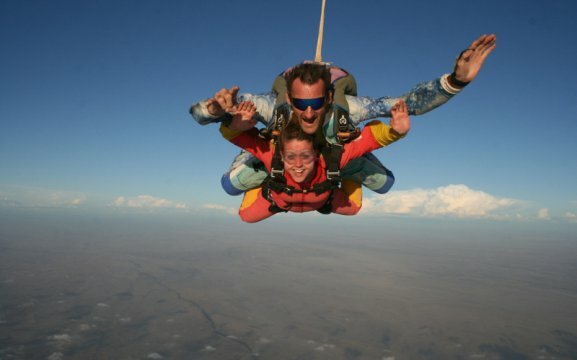 Video and photos of your skydiving experience. Bookings for Tandem Skydiving advisable.